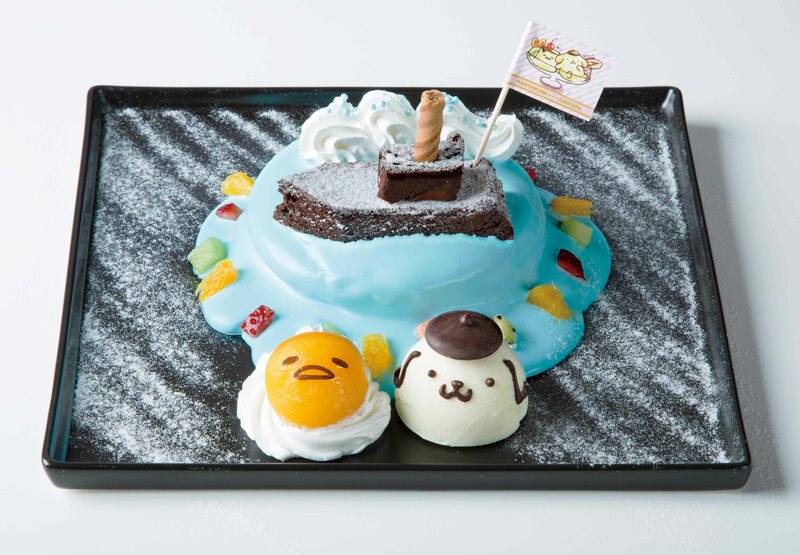 “Pompompurin Café” – Yokohama Store is a café using the motif of Pompompurin, a very popular character of Sanrio. 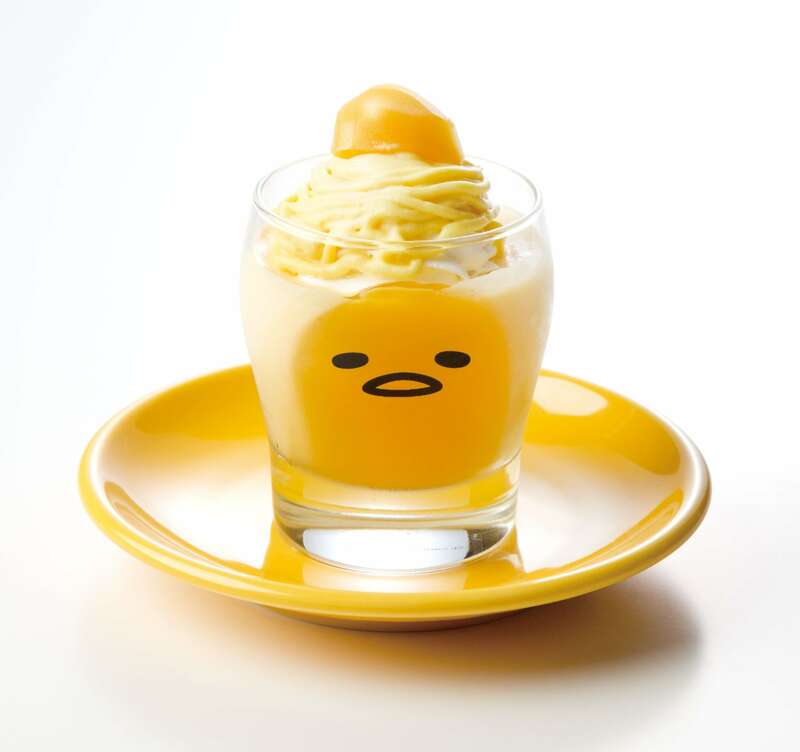 At this café you can also meet another popular Sanrio character, “Gudetama.” From the 5th of September (Wed.) to the 30th of November (Fri.), four menu items are being debuted in commemoration of Gudetama’s 5th anniversary. 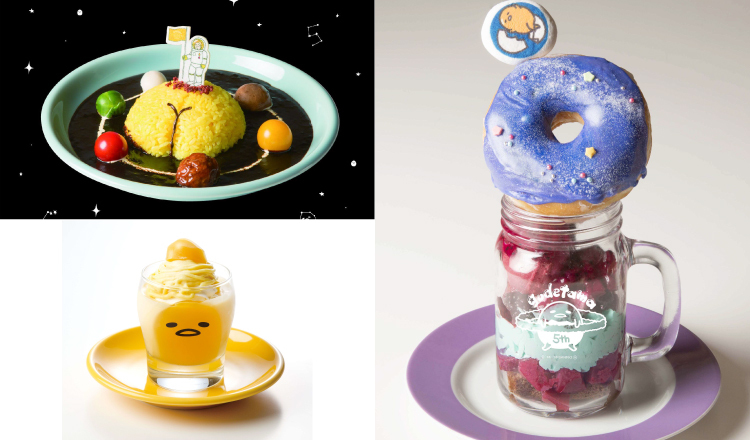 These menu items will also be sold at “Pompompurin Café” -Nagoya Store from the 1st of October (Mon.) to the 31st(wed.). Furthermore, a “Gudetama Café” is now open in “Dining Park Ikebukuro” located inside of Seibu Ikebukuro Main Store. It was opened on the 26 of June and will be open until the 24th of September. 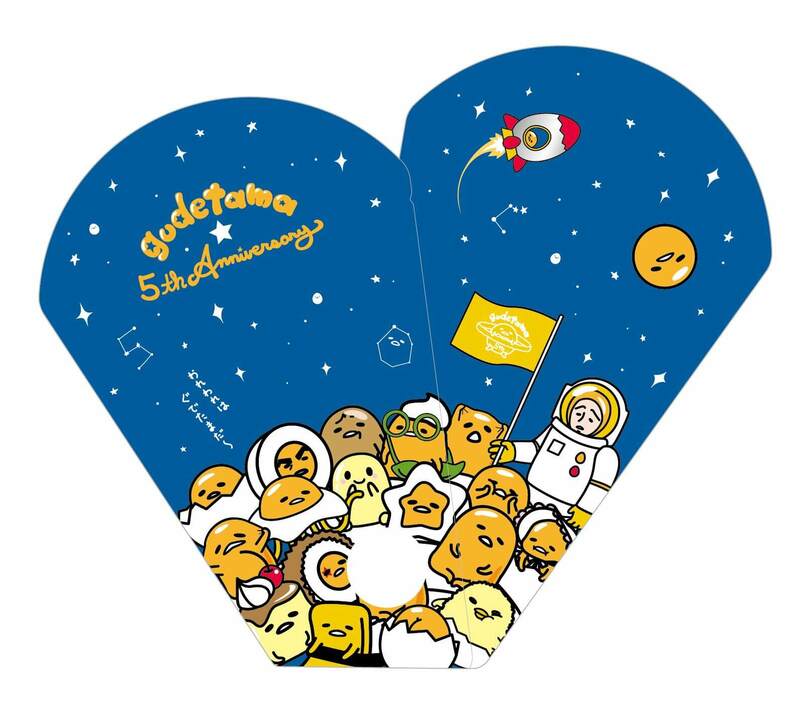 The café was created under the concept of, “the lazy character, Gudetama went to space” in commemoration of Gutetama’s 5th anniversary. This time, they will sell four limited menu items. 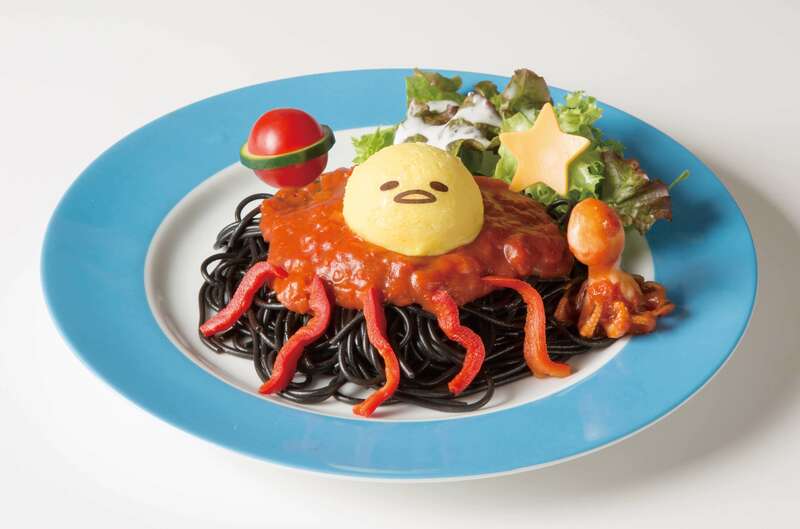 This menu item was created under the concept of, “Guderian, a strange character made of tomato sauce, with red paprika legs and a mashed potato face, has left for Mars?” Don’t miss the spacy-looking small squid and the mini-tomato asteroids stuck onto a pure-black pasta made of squid ink. 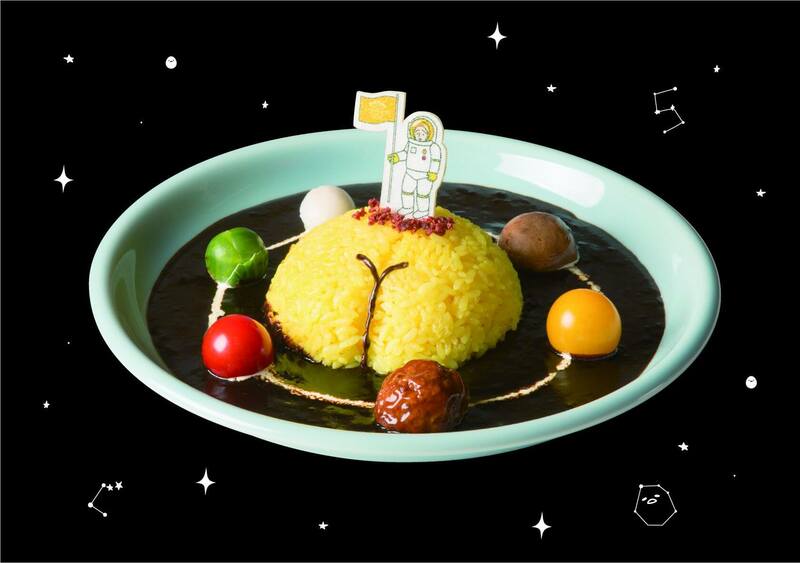 The hips of Gudetama (looking like a giant planet) are placed at the center of a black curry! Nisetama can be found beside Gudetama. Many kinds of ingredients such as meatballs, brussels sprout and mushrooms that look like asteroids are placed around the curry. A sweet dessert that looks like a burger. 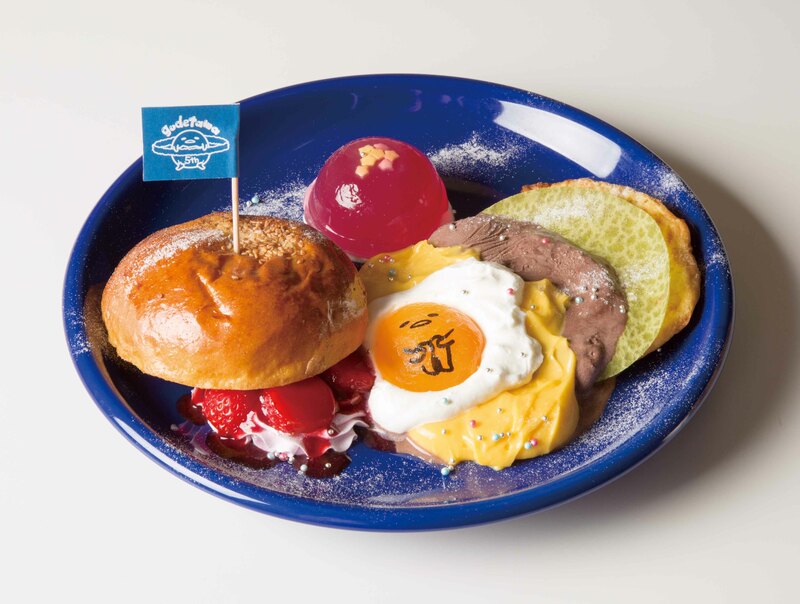 “Gudetama” made with apricots placed on top of milk agar, mango custard, chocolate ice cream and strawberry sauce are sandwiched inside a French toast. Black de Hall (black hole) is depicted using a doughnut iced in a galaxy pattern. 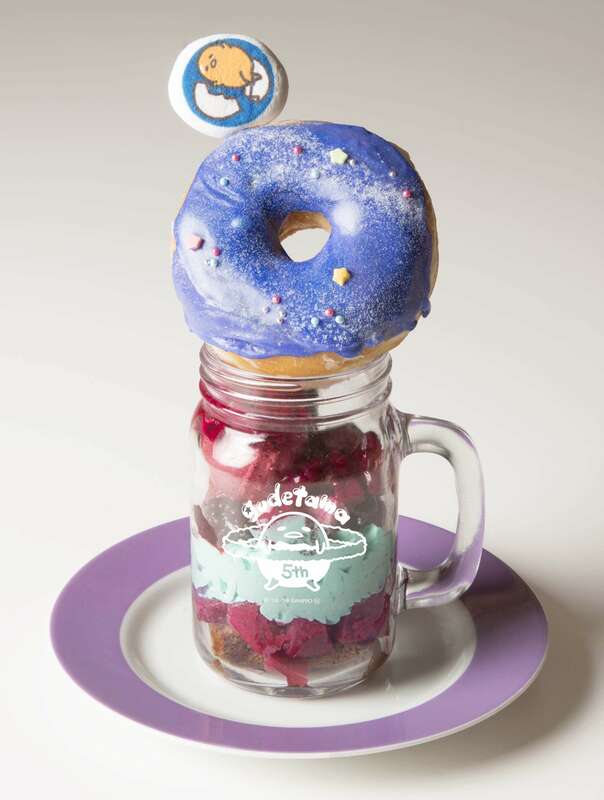 Chocolate sponge cake, black currant agar, mint cream, berries, chocolate and black currant ice cream are stuffed inside a jar. This menu item is sweet but sour at the same time. In addition to the menu items noted above, the set of Chinese dumpling and tea, Chinese noodle and desserts like pudding and pancakes are available! Guess the Secret Flavour of McDonald’s New Gudetama McFlurry and Win Prizes!